Tobi Held is a passionate artist who puts a bit of herself into each painting, unleashing her emotions with each brush stroke. 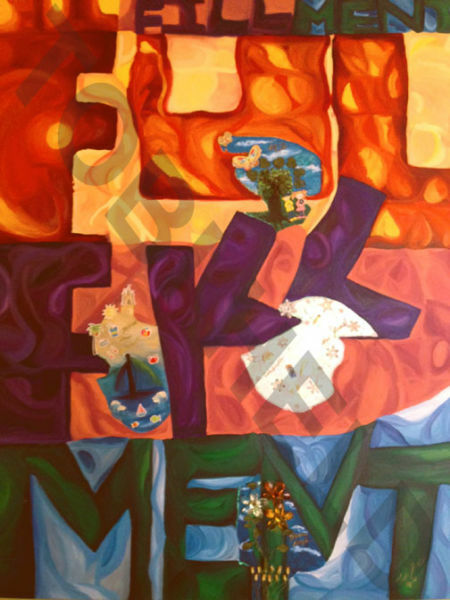 Working with oil paints and mixed media, Tobi presents what is at times an amalgamation of still life and abstraction. What shines through is an obsession with the process itself. Her work exhibits a refined palette on a variety of subjects. Rather than exhausting one particular subject, Tobi chooses to challenge herself and broaden her technical skills with this myriad of subject matter. Despite her paintings &#39; exploration of various themes, each piece has unmistakablefeeling, showing off her genuine love for art. As a child, Tobi dreamed of becoming an artist. She has trained since then with art classes, graduating from Boston University, School of Fine Arts with a degree in graphic design and art history. 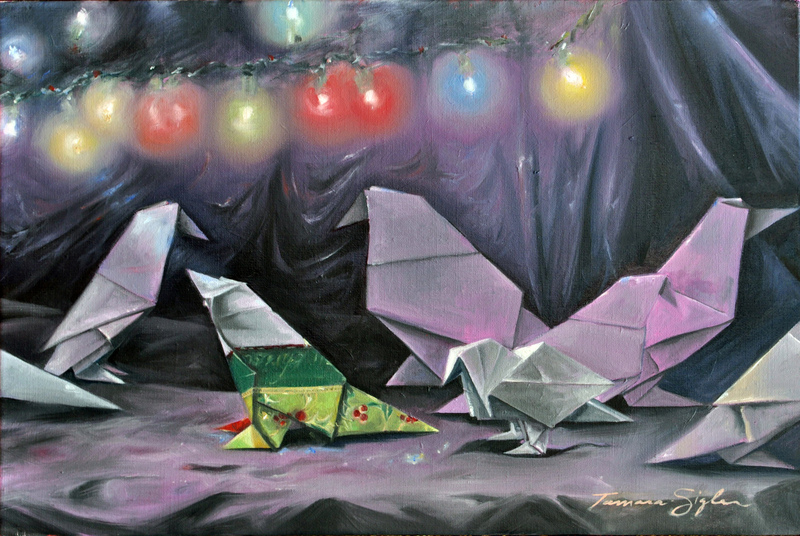 "Life of Birds - The Star"
oil on linen , 12" x 18"
This painting is one in a series of “animated” still lifes utilizing staged arrangements as scenes in which origami birds can playfully interact. I try to instill character into each and imagine the two smaller birds in this arrangement being fascinated with the beauty of the lights while the others pass by without seeing. I am currently exploring how light, shadows and reflections can be used to add liveliness to an arrangement and how they work with the many directional draped and folded lines, leading and connecting viewers to the small scenes. Oklahoma native, Tamara Sigler, studied art at Kansas City Art Institute and earned her BFA from Oklahoma City University. 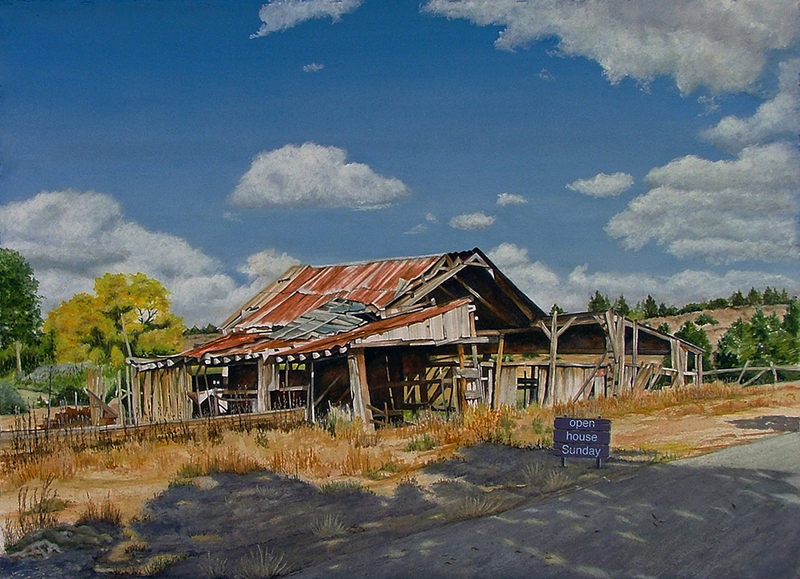 She has spent many years exploring areas of beauty in Oklahoma and in the desert Southwest and Rocky Mountain States. 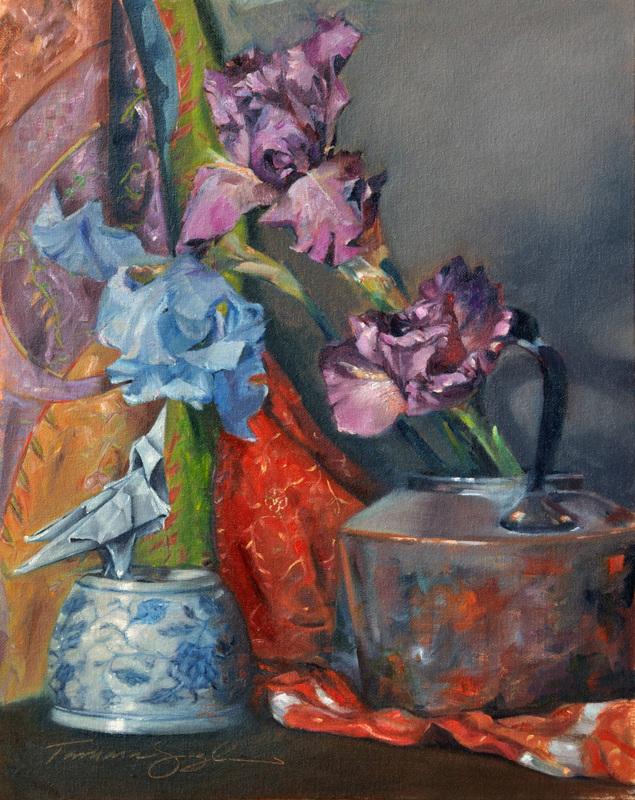 Her still life “scenes” reflect the strong colors and patterns inspired by her home and travels, and showcase a contemporary approach to composition along with a love and respect for traditional painting technique. Tamara is the recipient of the Native Star Award and has shown by invitation in the National Cowboy and Western Heritage Museum’s Small Works, Great Wonders Show. She has had work displayed in the Butler Museum of American Art and participated in numerous galleries and juried shows, including NOAPS Best of America Small Painting National Juried Exhibition, Bosque Art Classic, Oklahoma Visual Arts Coalition’s 12×12, Heroes and Outlaws: 100 Oklahomans by 100 Oklahoma Artists, and the Rusty Gables Spring Stampede. Her painting “Trails End” received Best in Show at the Bauhaus Prairie Gallery’s Open a New Year 2018, with “Gifts from the Garden” receiving an award for the 2018 Still Life show. Tamara was a Spirit of the Buffalo artist, with two of her proposed designs accepted for the successful project sponsored by the Nature Conservancy in Oklahoma City. Her designs are included in The Spirit of the Buffalo, Oklahoma’s Past and Future by Linda Millier Bosteels. 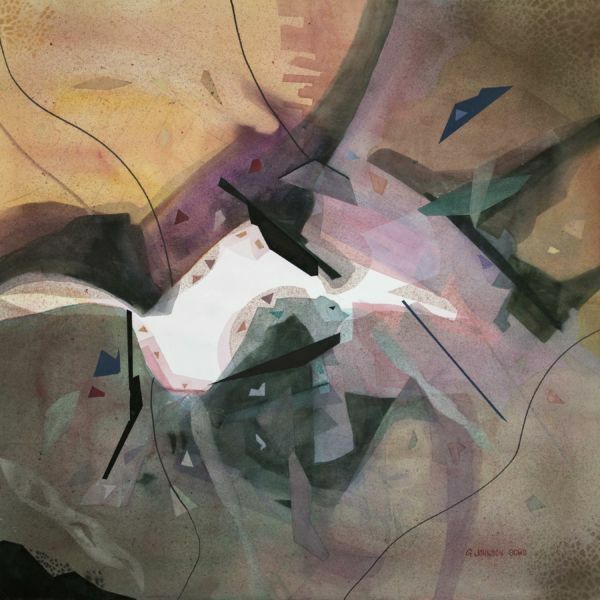 Watercolor , 22" x 21"
The “Dynamics of Dominance and Value” in the abstract art Imagination that I created are but two of the design elements and principles that have become the central theme in the work I produce, exhibit and teach. Dominance is exhibited in many ways: color, shape, texture, and line are all forms of dominance utilized in this work. The predominantly warm colors are balanced with a small grouping of subordinated cooler colors. The dominance of multiple curvilinear shapes are offset nicely by smaller geometric shapes. These are the two key forms of dominance that I try to produce when working on a watercolor abstract. 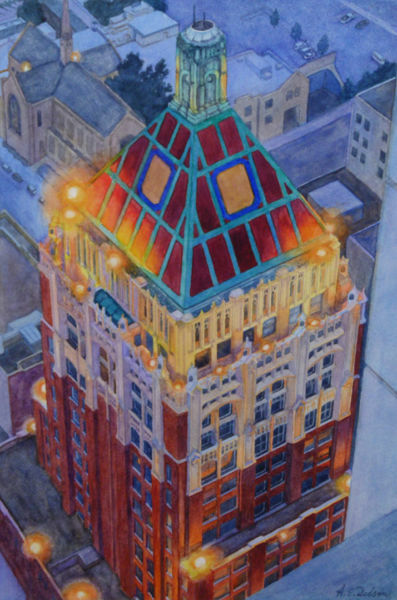 Other elements that tend to support these characteristics of my work are textures which are derived in multiple ways as well as the use of line to help pull the piece together and the multiple washes that allow the transparency of watercolor to come shining through providing changes in value throughout the composition. ried into the Watercolor USA Exhibition, the Rocky Mountain National Watermedia Ex-hibition, and the Signature American Watermedia International Exhibition. "Open House Sunday, Show Low Arizona"
Light Painting , 30" x 24"
“Life is Light and Motion”. 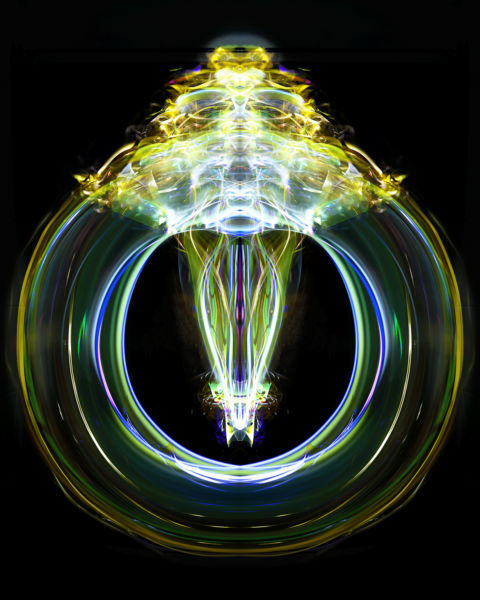 Light painting is the combination of light and motion and my way to bring forth unique interpretations of this axiom. “Symmetry” is representative of my approach to light painting. While the camera is fixed on a tripod, I am in front of it, “drawing” with a flashlight that is directed at the camera. The flashlight, used as the light source, is modified with various tips called “blades” of perspex in order to get specific light behaviors. To achieve the desired range of colors, I use color gels. Light art requires a slow shutter speed – my paintings come about in a single exposure of 10 – 20 seconds typically – and thus is best performed at night or in a dark room. Madeleine Zweifel was born in Zurich in 1958. She is a translator turned photographer and digital artist. Specializing in headshot photography, Madeleine is also a macro photographer and a light painter. Why photography? Deliberate choice later in life. Introvert by nature, it has always been challenging for her to get out and meet with people. Photography helps with that and is a great way for me to interact with people and express herself through this creative outlet. My goal was to channel Rembrandt’s quality of communicating a moment in one’s life. I took inspiration from Rembrandt’s Self-Portrait at the Age of 34. However, unlike Rembrandt who is signifying that he has “arrived,” the expression on my face is of concentration reflecting hard work. I’m still in the midst of “trying to get there.” Aging was an important aspect of Rembrandt’s work, and I acknowledge my own aging by showing my gray hairs that I can no longer keep up with dying. 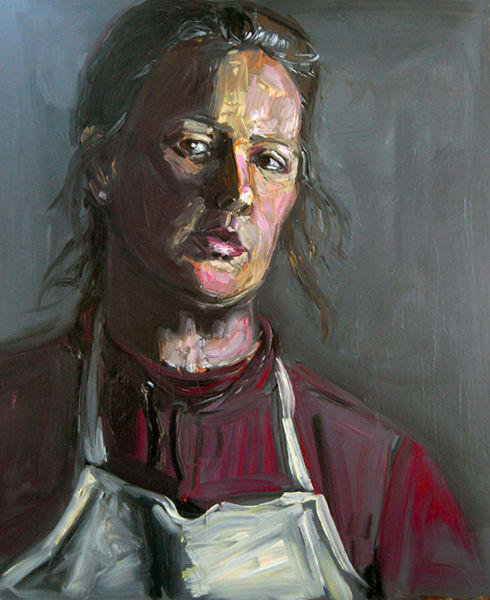 Being an artist has always been part of my identity as indicated by my painting apron. Painting while looking into a mirror encouraged me to use an expressive approach bringing a quality of life to my portrait. Jenny Ambroise earned her M.F.A. from Indiana State University and is an assistant professor of art at Marian University in Indianapolis, Indiana. She draws upon personal experiences for her art in which subjects range from portraits to landscapes to still-lifes with an emphasis on nature. “There is an awareness of the moment that is demanded by nature which I use to negotiate questions about mortality,” Ambroise explains. While her paintings often center upon the broad topic of death, they are ultimately about understanding the human condition. Watercolor on paper , 21" x 14"
Anke Dodson enjoys working in the style of contemporary or painterly realism on a variety of surfaces such as watercolor canvas, aquabord, claybord, yupo, ricepaper and, of course, traditional watercolor papers. Her work includes cityscapes, landscapes and marine subjects. Anke Dodson is a native of Germany and a naturalized citizen of the United States. She is a resident of Tulsa, OK. She has studied painting in watercolor and pastels with nationally known artists and instructors such as Steven Quiller, Alan Flattman, Naomi Brotherton, Judy Betts, Christopher Schink and others and in recent years has added the art of printmaking, more specifically monotypes. Taking a workshop taught by renowned printmaker Julia Ayers made her want to learn more about this unique medium and its possibilities. In June of 2011 she was invited by the Philbrook Museum of Art in Tulsa, OK to teach an introductory monotype workshop in conjunction with their “Rauschenberg at Gemini” exhibition. A solo exhibition at the Gallery of the Performing Arts Center in Tulsa in October 2011 included a large number of monotypes, portraying the change of seasons on the prairie. The Community National Bank of Kansas commissioned her to paint historical works for seven of their branch offices. The large portraits of these communities are now on exhibit in their respective cities. Her work was juried into the 2017 and 2018 National Watercolor USA shows. Her paintings have been added to a number of corporate and private collections in the U.S., Germany and France, including several commissioned pieces. She is represented by the Eva Reynolds Gallery of Fine Arts in Leawood, KS (Kansas City) and her work can also be found in the virtual galleries of the Oklahoma Artists Coalition and the Tulsa Artists Guild (TAG). 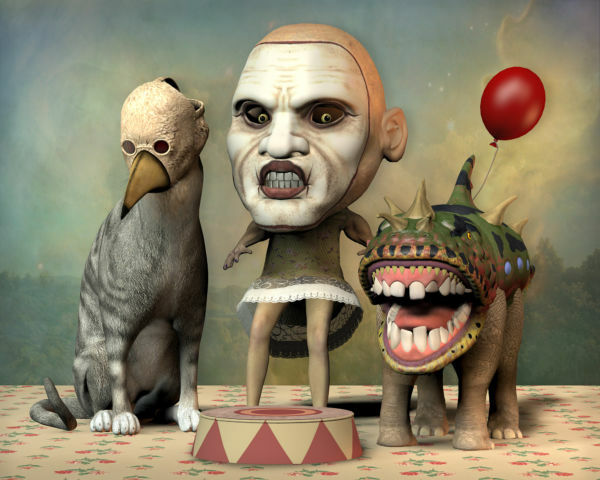 Pigment Print , 24" x 30"
Don Bergland is an Associate Professor Emeritus of Art Education at the University of Victoria as well as an elected member of the Society of Canadian Artists (SCA). 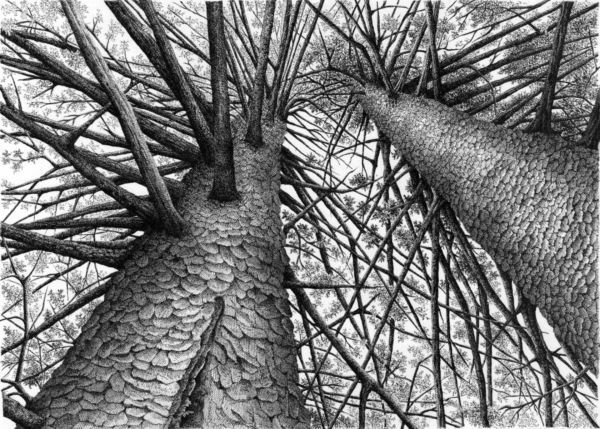 He has been an active exhibiting artist for over 50 years, during which time, he has mastered a variety of professional media, from oil on canvas to his current studio use of digital tools and techniques. Throughout his career, he has enjoyed professional relationships with major galleries in Canada and the United States. He maintains an active international exhibiting career and has featured his artwork in over 200 major exhibitions throughout the world, winning over 70 creative & professional awards in the process. He has published a variety of books dealing with art and creative activity as well as many articles in scholarly and academic journals. His studio practice is focused on using 3D modeling environments to create surrealistic imagery for international exhibitions. He currently lives and teaches in Victoria, BC, Canada.